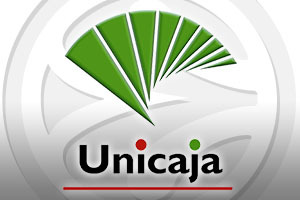 Spread Pick: Unicaja with handicap +6 at 1.90 Over/Under: Under 155.5 1.90 Bet Now! This Group B game features two sides who have already qualified for the Top 16 and no matter the outcome, Maccabi will finish in second place. You could therefore argue that there is more at stake for the away side. If Malaga manage to win, they will secure third place in the group but even if they lose, a loss for Alba Berlin against Zagreb would ensure the Spanish side takes third place. This means for Malaga to finish fourth in the group, they need to lose and Berlin needs to win. Knowing that their fate is in their own hands is likely to provide Malaga with all the incentive that they need for this game. 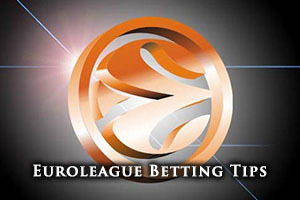 The two teams clashed earlier on in the 2014/15 Euroleague and the Israeli team grabbed an away win in what turned out to be a close affair. There were 133 points on offer but only 4 points separated the two teams as the final score was 66-70 in favour of Maccabi. The team from Tel Aviv have sometimes struggled with the expectations that come from being champions, but this was a big win for them, putting them on the path to clinching second place in the group in the second half of the Euroleague initial group stage. For this game, bearing in mind that there is more at stake for Malaga, it makes sense to opt for them. Bet365 has Malaga priced at odds of 1.90 with a handicap of +6, and with a chance to ensure they finish third in the group against opponents who have nothing but pride to play for; you would expect the Spanish team to turn up with plenty of effort. Given that the last game between the two sides only featured 133 points, choosing to Under 155.5 points is likely to be a very sensible bet when it comes to making the most of the Bet365 betting options available for this match. Bet Now! The reigning Euroleague champions hold a 6-3 record and they have averaged 79.6 points per game in the Euroleague so far this campaign. Their top point’s grabber has been Devin Smith, the USA guard offering up an average of 16.1 points per game and an average of 6.9 rebounds per game. Another American player has also been in fine form for Maccabi as Jeremy Pargo has provided 12.4 points per game while provided an average of 5.8 assists per game. Maccabi have also been in excellent form in their domestic league, sitting in 1st place with a 10-2 record. The Tel Aviv side won their last game 118-89 against Ironi Nes-Ziona. Malaga are also in great form in their domestic league, with a 10-1 record and they also sit at the top of their league. They also won their last game on domestic duty, defeating Sevilla by a score of 82-76. It is a different story in the Euroleague though as Unicaja holds a 4-5 record. Like Maccabi, Unicaja have an American player at the heart of their great play with Ryan Toolson, offering up an average of 13.6 points per game while also providing an average of 3.1 assists per game. Vladimir Golubovic has offered an average of 7.6 points per game while also contributing an average of 5.3 rebounds per game.